Asterisk creates a PBX that rivals the features and functionality of traditional telephony switches. Asterisk is cost-effective, low-maintenance, and flexible enough to handle all voice and data networking. 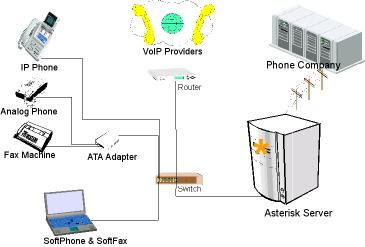 Broadband Internet Connection (for external VoIP lines). VOIP Providers (SIP & IAX & H323).